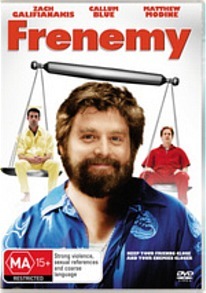 Although the Frenemy appears to star the bizarre yet comedic Zach Galifianakis (The Hangover 2) as the main billing of this movie, he is actually more cameo than supporting cast member but given his success over the years, it's easy to see why the producers would try to use smoke and mirrors. In spite of this and unlike the more mainstream comedy, The Hangover, Frenemy is quite a dark and surreal comedy which revolves around a group of friends who witness a horrifying crime. With some twist of fate, these friends somehow managed to survive the mayhem that leaves them questioning their luck and ultimately the consequences that come with it. The protagonists of the film are best friends Mr. Jack (Matthew Modine) with a very over the top English accent and Sweet Stephen (Callum Blue) who generally don't do too much besides sit around and talk about existentialism within their LA home. 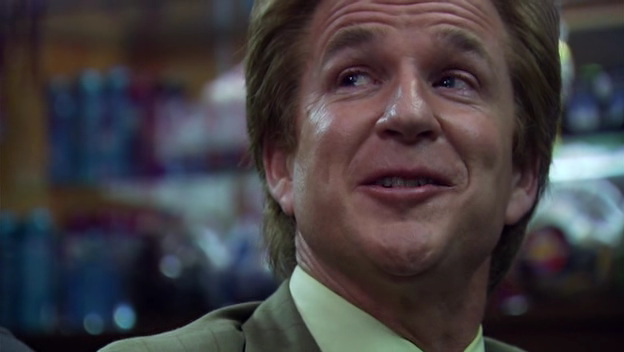 As they move around in their rather mundane life, they become involved in an adult store robbery with Zach Galifianakis playing the store owner. This then leads to a chain of strange and bizarre events from murder to bum fights that will leave you scratching your head, especially the weird cameo from Adam Baldwin as a police officer. However the main question is... was the film any good? I still don't know! There are elements in the film that will make you laugh, however as the story is so bizarre and the characters are so unbelievably unrealistic, Frenemy ends up being a collection of ideas that don't mesh, much like water and oil. I've heard some critics define this movie as stoner comedy and in hindsight, some form of substance enhancement may have made this film better than it actually was. I'm confused and you'll be too!